One of the more depressing similarities between the UK and Canada is library closures. In Canada it is government, scientific and special libraries which are bearing the brunt of ‘economic realism’, while in the UK we are witnessing in 5 years the systematic dismantling of a public library service which was built up over 150 years. The given rationale for these closures is economic, but the real reasons are politically driven. In the UK hundreds of public libraries have been closed since 2010 in the name of ‘reducing the deficit’ and ‘permanent austerity’. The issue is presented in stark ‘take it or leave it’ terms to local communities who are told that in the competition for limited public resources, politicians must decide whether to close a library, school or hospital because ‘we cannot afford to keep them all open’. Setting aside the affordability argument (the UK is the world’s sixth richest country) the real reason for public library closures is political – an ideological drive to roll back the public sector. The mantra ‘private good, public bad’ has real traction in the UK, supported by the mass media, and public libraries have been its easiest and earliest victims. What we are now finding, of course, is that when public libraries close there are negative economic impacts which far outweigh the financial savings. Public libraries are an important part of the social glue which helps to stick communities together, and when the library closes health and education indices take a downward turn, while crime goes in the opposite direction. We have been struggling for years to prove the social benefits of libraries; it seems that this is easier to demonstrate when they are closed (by which time it is too late) than when they are open. Beyond the smokescreen of political decisions masquerading as economic decisions there is a further deceit and distraction; that these closures are not central government decisions but the work of local politicians and administrators. When money and power is devolved (and reduced) to regional and local governments, they are left with making the tough decisions about which services are maintained or closed. In the UK, where local government is party political, public libraries become a political football, with opportunities to score goals (and own goals) or kick the ball out of the park altogether. In Lincolnshire, where I was Head of Libraries before moving to Thunder Bay, the local council plans to retain control of just 13 libraries from its current network of 48 branches. The remaining libraries will be handed over to ‘community control’ or closed. This gives local communities an impossible choice – either step forward and save your local library by staffing it on a voluntary basis, or let it be closed. There are many problems with volunteer run libraries, as few community members have the skills, experience and knowledge to manage a library. Some of these libraries become little more than private clubs, meeting the needs of a narrow demographic which matches the volunteer’s social background and values. The so-called ’Big Society’, whereby local communities are given more power and control over their services, is in fact a ‘Big Con’ and a million miles away from true Community-Led libraries. The ability to resist these closures is limited. The trade union movement has been neutered by legislation. The ongoing triple dip recession makes it difficult for union members to support industrial action. The political neutrality of the profession is a weakness not a strength. Public libraries are deeply political institutions. Library workers make political decisions every day, from which book to buy to which community to serve. While we continue to wave our neutrality like a flag or badge of honour, we are battered by political decisions which threaten our very existence. In the UK I was an active trade unionist for over 30 years, but as a senior local government manager my position was ‘politically restricted’. This banned me from holding office in a political party, from writing letters to the newspaper in support of a political party and from actively canvassing or campaigning for a political party. I am still discovering how politics works in Canada. The main parties look and sound remarkably and depressingly like their equivalents in the UK. But local government is not party political and I find that very refreshing. I feel less politically restricted in Canada, and that is very liberating as well. But as a senior administrator I cannot belong to a union. I have great respect for the trade union movement in Canada, particularly in the public sector. We need strong unions to defend public services and public libraries. The ‘closed shop’, in which all workers have to pay union dues, is necessary to build strength, density and solidarity. When the closed shop was abolished in the UK the trade unions went into sudden and steep decline. As Billy Bragg continues to remind us ‘There is Power in a Union’, but this power must be exercised with discretion and care. Battles must be carefully selected, and industrial action be used sparingly and tactically. Positive change must be supported, and seen as an opportunity rather than a threat. Governments are always looking for reasons and ways to limit union power, as they stand almost alone in the way of cuts and closures. We must give no political ammunition to so-called ‘right to work campaigners’. 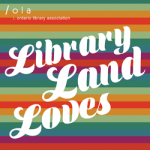 Instead we must form alliances between unions, administrators and local communities to protect, defend and develop libraries as democratic public spaces which can inspire, empower and inform. Information is Power! John Pateman is the CEO / Chief Librarian of the Thunder Bay Public Library. 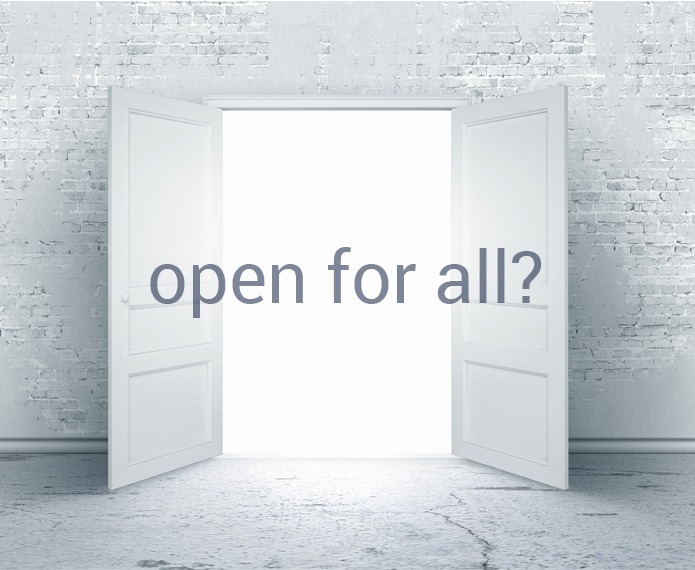 The Open for All? column explores the nature of libraries and their commitment to openness.